This timeless mansion at 50 Riverview Terrace, Hamilton, has loads of history. ONCE home to the British Trade Commissioner, this Hamilton mansion has hit the market for the first time in two decades. 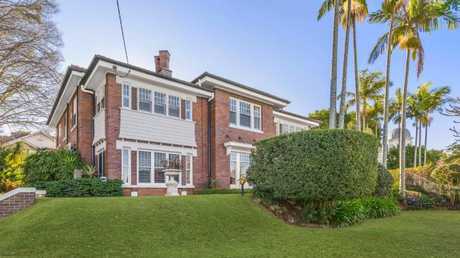 The renovated 1920s double-brick property is on a massive 2812sq m parcel of land in one of Brisbane's blue chip streets - located at 50 Riverview Terrace, Hamilton. Owner Maureen Tynan said it had been the ideal property in which to raise her four active sons. 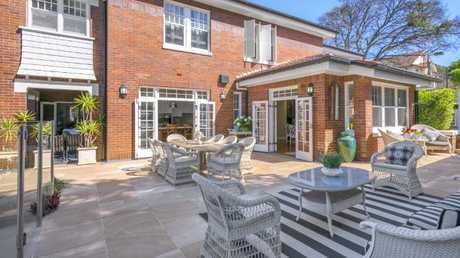 The property has a self-contained entertainment pavilion, championship-size floodlit tennis court, cricket nets and swimming pool where her sons spent a lot of their free time. "It's been a lovely family home," Mrs Tynan said. "Between studying, the boys would head out to play basketball, swim in the pool or have a hit of tennis. As they grew older, they loved the entertainment pavilion which stands apart from the main house." 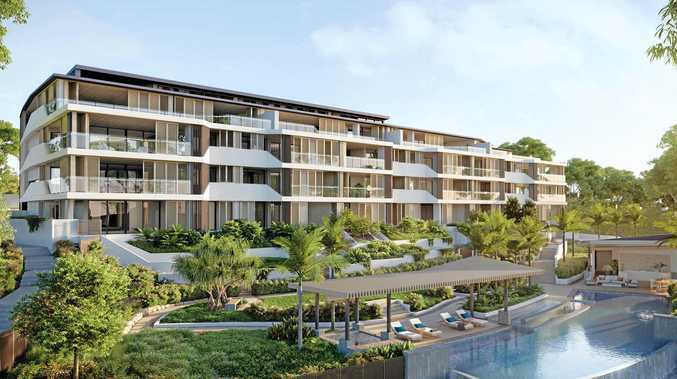 The property is spread across 2,812 sqm. Inside the house the Tynans updated the lower level to create a contemporary open-plan kitchen and informal dining area. The kitchen has marble benchtops, Wolf appliances and Wyer + Craw cabinetry. An island bench accommodates four chairs. The home is solid and warm in winter. French doors open from the kitchen area out onto a large paved patio, entertainment area. There are six bedrooms on the upper level of the home. The bathrooms have been modernised, the main with a bath tub. 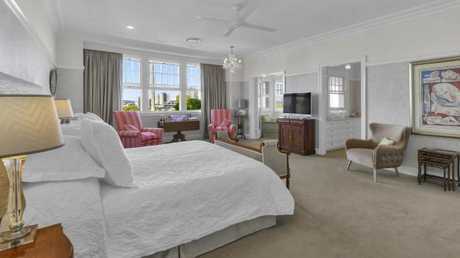 There are timber floors throughout the living areas of the home and carpets in the bedrooms. Mrs Tynan said the home had a very functional layout. It has its own entertainment pavilion. "It's very solid and is warm in winter, yet cool in summer so we rarely use the ducted airconditioning,'' she said. "It's a family home and because of its layout and function, I think it's timeless." Although renovated, the home retains many of its period features including decorative plaster ceilings and wood panelling. The house has played host to many family events. "We've had engagements, weddings, birthdays, christenings and fundraisers here so it's very versatile,'' Mrs Tynan said. The owners found it an ideal property in which to raise their four sons. Architect Richard Gailey designed the property and Hutchinson Builders constructed it. 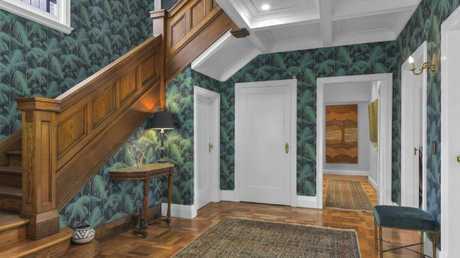 Recent renovations were styled by Newstead Interiors. 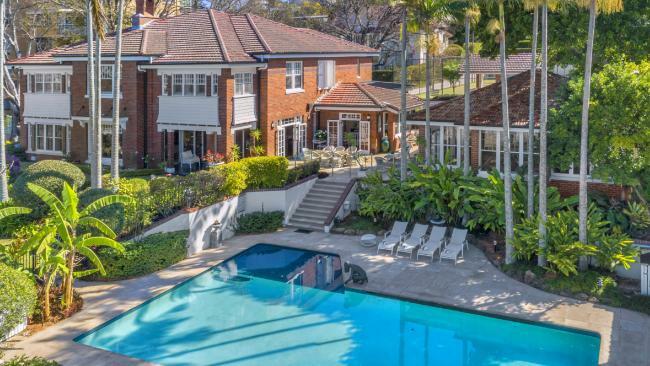 Marketing agent Matt Lancashire of Ray White New Farm described it as one of Brisbane's "grandest family estates''. They have held fundraisers and other functions here. 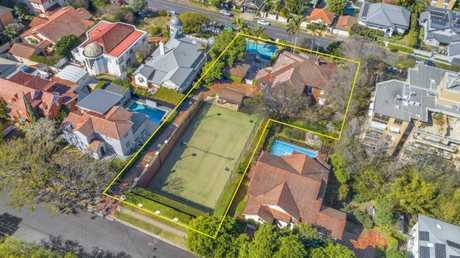 It has a 45.4m frontage and dual street access to Killara Ave, overlooking Hamilton and Ascot and is only minutes from the Brisbane CBD. All of the bedrooms have built-in wardrobes and the home has a library room with built-in cabinetry and a fireplace. 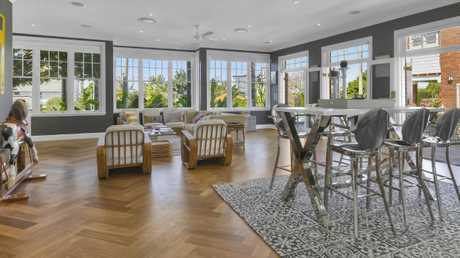 There are multiple formal and informal living and dining rooms. There are six bedrooms in the property. Outdoors the swimming pool is self cleaning and has glass fencing. There is a secure garage for two cars with additional off-street parking. The mature gardens have fruit trees. It is being sold through an expressions of interest campaign which closes on October 4.